For a complete overview of all S-Class models, see Mercedes-Benz S-Class. The Mercedes-Benz S-Class (C217) is a full-size luxury car/grand tourer manufactured by Mercedes-Benz since 2014. The C217 model succeeded the CL-Class (C216) and is the current version of the S-Class coupé. It is also the first Mercedes coupé to carry the S-Class name since 1992. The Concept S-Class Coupé was unveiled at the 2013 Frankfurt Motor Show to showcase the appearance of the upcoming S-Class coupé model. It features an all-new design compared to the previous CL-Class model, utilizing the brand's Sensual Purity design philosophy first developed for the W222 S-Class in 2009. The production version of the S-Class coupé was announced and unveiled in February 2014, with its first public showing at the Geneva Motor Show in March 2014. 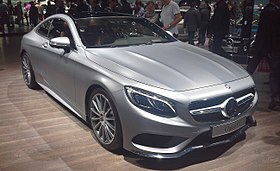 Mercedes showed the S500 model (known as the S550 in the United States market) at the Geneva show. At the New York Auto Show in April 2014, Mercedes made the first public showing of the S 63 AMG 4MATIC model. The S 65 AMG model, which includes a V12 Bi-Turbo engine, was unveiled in July 2014. It features all the latest driver assistance and safety systems introduced in 2013 on the Mercedes-Benz S-Class (W222), including Traffic Sign Assist with wrong-way driving warning function. The C217 coupé continues to offer the AIRMATIC semi-active air suspension as standard. The C217 introduced an update to the hydraulic fully active Magic Body Control suspension (which debuted on the W222 sedan model), called Active Curve Tilting. This new system allows the vehicle to lean up to 2.5 degrees into a turn, similar to the way a motorcycle leans into a turn. The leaning is intended to counter the effect of centrifugal force on the occupants and is available only on rear-wheel drive models. Like the W222 sedan, the C217 coupé includes full-LED lighting on the exterior (including full-LED headlamps with Intelligent Light System and Adaptive Highbeam Assist PLUS) and interior of the vehicle. Optional headlight features include 47 Swarovski crystals in each headlamp: 30 crystals for the turn signals and 17 for the daytime running lights. The C217 S-Class coupé launched with the S 500 model, known as the S 550 in the United States market. The vehicle features a twin-turbocharged 4.6L engine paired with a 7-speed or a 9-speed (only for rear-wheel drive version) automatic transmission. In most markets, the S 500 is fitted to a rear-wheel drive drivetrain with optional 4MATIC all-wheel drive; in the US, 4MATIC is standard. Through the Mercedes-AMG sub-brand, the second S-Class coupé model launched is the S 63 AMG. Featuring a 5.5L turbocharged V8, the S 63 is the performance model V8 within the S-Class lineup. Like the S 500, the S 63 is offered with rear-wheel drive or all-wheel drive, though with only all-wheel drive (without Magic Body Control) in the United States. The S 65 AMG is currently the top-of-the-line S-Class coupé model. It features a 6.0L turbocharged V12 Mercedes-Benz M279 engine paired with a 7G-Tronic automatic transmission. The V12 model is available only with rear-wheel drive (4MATIC not available). The S-Class Convertible at the IAA 2015. The convertible version of the S-Class (codenamed A217), which was unveiled at the International Motor Show Germany in 2015, has many lightweight reinforcements such that its driving style is similar to that of the coupé version. Safety is maintained by a roll-over system, which is pyrotechnically actuated behind the rear passengers if required. It is the first luxury 4-seater open Mercedes since 1971 and first 4-seater open Mercedes with more than 3-litre engine since WWII. Based on the convertible version of the AMG S 65, the Maybach S 650 Cabriolet will be produced in a limited run of 300 units, each priced at $335,000. or Euro 273,000 without tax. In September 2017, the S-Class Coupé facelift was launched at the 2017 Frankfurt Auto Show. 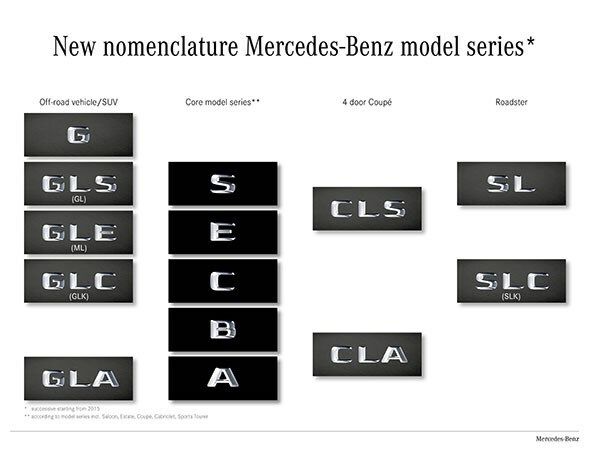 The outgoing S500/550 nameplate has been replaced by the S560. It now uses a detuned version of the 4.0 AMG V8 Biturbo, the M176. The 5.5 V8 Biturbo in the S63 AMG has also been replaced by the M178 4.0 V8 Biturbo. The new 9G-Tronic transmission is now standard across the range, with the exception of the AMG S65, which still uses the 7G-Tronic. ^ Eric Gallena (2014-04-07). "Mercedes-Benz Exterior Design Director on Sensual Purity". formtrends. ^ "Mercedes Concept S-Class Coupe is two-door indulgence [w/videos]". Autoblog.com. 10 September 2013. Retrieved 25 November 2014. ^ "2015 Mercedes S-class Coupe: The flagship has landed". Autoweek. 10 February 2014. Retrieved 25 November 2014. ^ "2015 Mercedes-Benz S63 AMG Coupe bringing big, fast style to New York". Autoblog.com. 19 March 2014. Retrieved 25 November 2014. ^ "2015 S65 AMG Coupe is 186 miles per hour of pure luxury". Autoblog.com. 14 July 2014. Retrieved 25 November 2014. ^ "Under the microscope: Curve tilting function - Curve artist". Daimler AG (Press release). ^ "How the Active Curve Tilting Feature of the S-Class Coupe Works". BenzInsider.com. 16 February 2014. Retrieved 2 December 2014. ^ "The new Mercedes-Benz S-Class Coupé: The high-end coupé" (Press release). Stuttgart, Germany: Daimler AG. 23 June 2014. Retrieved 2 December 2014. ^ "2015 S-Class Coupe (C217) Has Swarovski Crystal Headlights". Autoevolution. 11 February 2014. Retrieved 3 December 2014. ^ "2015 Mercedes S-Class Coupe leans into the good life". Autoblog.com. 11 February 2014. Retrieved 3 December 2014. ^ Adrian Padeanu (2014-07-04). "Mercedes-Benz to offer 9G-TRONIC on S500 Coupe starting January 2015 - report". motor1.com. ^ "Mercedes S-Klasse Cabrio auf der IAA: Sitzprobe im offenen Luxus-Liner für vier". Auto Motor und Sport (in German). ^ Justin T. Westbrook (2015-09-01). "The 2016 Mercedes-Benz S-Class Cabriolet: This Is It". Jalopnik. ^ Westbrook, Justin Tyler (2016-11-15). "The Mercedes-Maybach S 650 Cabriolet Is A Hilariously Expensive Way To Hate Rain". Jalopnik.com. Jalopnik. Retrieved 2016-11-22.